‘Whenever I’ve seen (or heard) a poem by Becky I’ve always been struck by her facility to make the rhythm work for her: that the poem is a thing made out of sound as well as sense; that the emotional flow of the poem is somehow driven by the rhythmical units of each line and stanza. So we’re constantly aware of the natural rhythms of the speaking voice and yet in no doubt that what we’re hearing is poetry’. 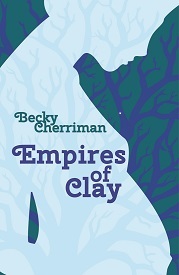 Becky Cherriman‘s ‘Grief Trilogy’ is a series of lovely flash-fiction pieces that outline the life of a girl born to tragedy. The descriptions in this piece are really top-notch, and although the pieces are brief they are very well-executed, as in [the] scene when a dying man meets the girl named Grief. Participant recovering from a stroke. Participant who Becky met several years into recovering from a stroke.